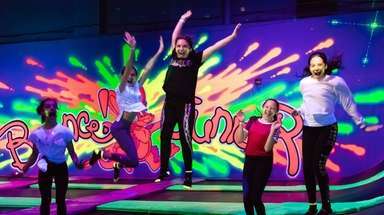 One in eight women will develop invasive breast cancer over the course of her lifetime, the American Cancer Society says. 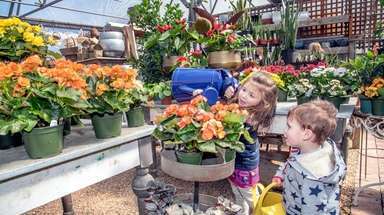 To fight back, some retailers this month will donate proceeds from various goods to help support education and scientific research. Estée Lauder, for instance, donates money to the Breast Cancer Research Foundation (BCRF) and issues research grants across the globe, supporting scientists, like Michael Wigler of Cold Spring Harbor Laboratory, who received funding last year to continue his studies of gene activity in normal cell tissue and tumors. What can you do? We’ve gathered a collection of fun gear that gives back. Join the Maurer Foundation’s Young Professionals Committee at Cocktails for a Cause on Oct. 23 at Havana Central in Garden City. Women can sign up for Maurer’s online “alarm clock,” which emails reminders about annual mammograms and monthly breast self-exams. Learn more at maurerfoundation.org. Lilly Pulitzer is launching the Pawsitive Cattitude capsule collection, with apparel and accessories in upbeat prints, like this UPF 50+ Skipper Popover; $98 at Lilly Pulitzer shops (including Walt Whitman in Huntington Station) and lillypulitzer.com. 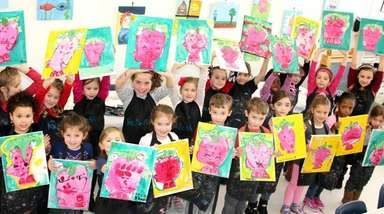 FOR THE CAUSE A portion of proceeds benefits the nonprofit educational group Bright Pink. 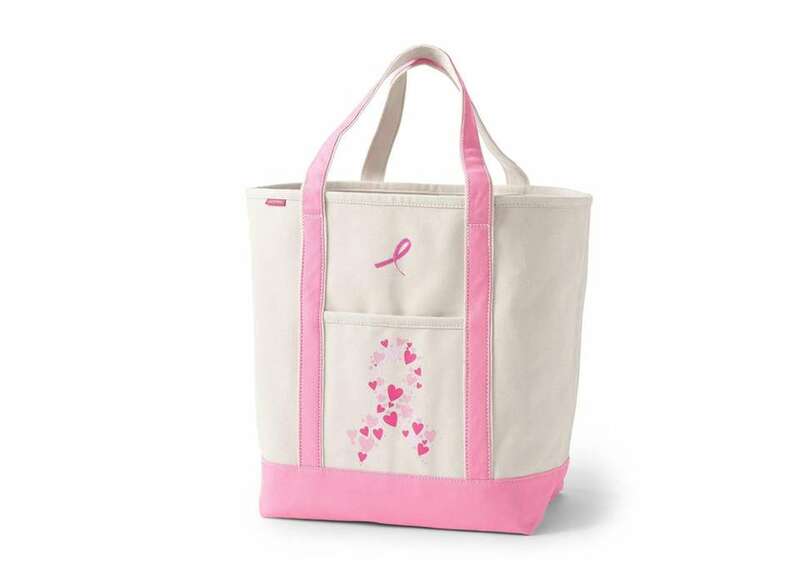 Look for charitable apparel and accessories in the Lands’ End Pink Thread collection, including this Pink Print tote; $46 at Lands’ End shops (including the shop within Sears at Smith Haven Plaza in Lake Grove) and landsend.com. FOR THE CAUSE 25 percent of the purchase price will go to BCRF, plus the label will donate $1 for every social media post about your Pink Thread experience tag with #pinkthreadproject #mylandsend #sweepstakes. 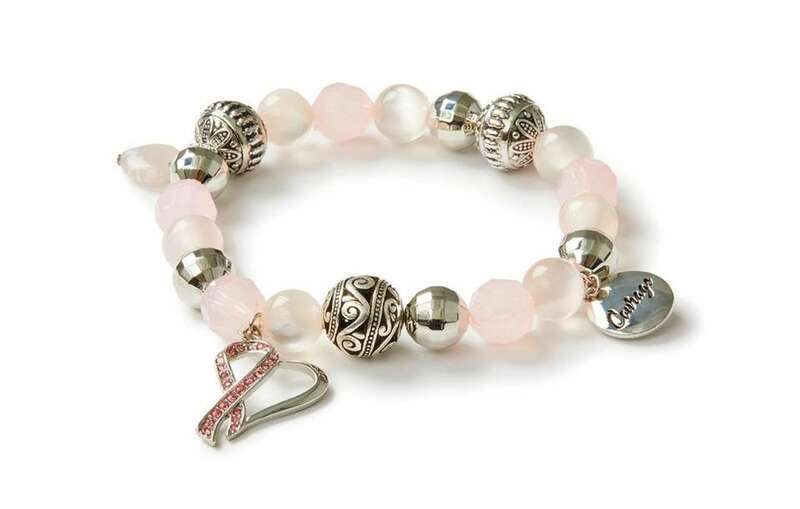 This pink ribbon charm bracelet is a modest reminder of a big and worthy cause; $24.95 at Catherines stores and catherines.com. FOR THE CAUSE 10 percent of the purchase price helps fund the BCRF, through Nov. 3. 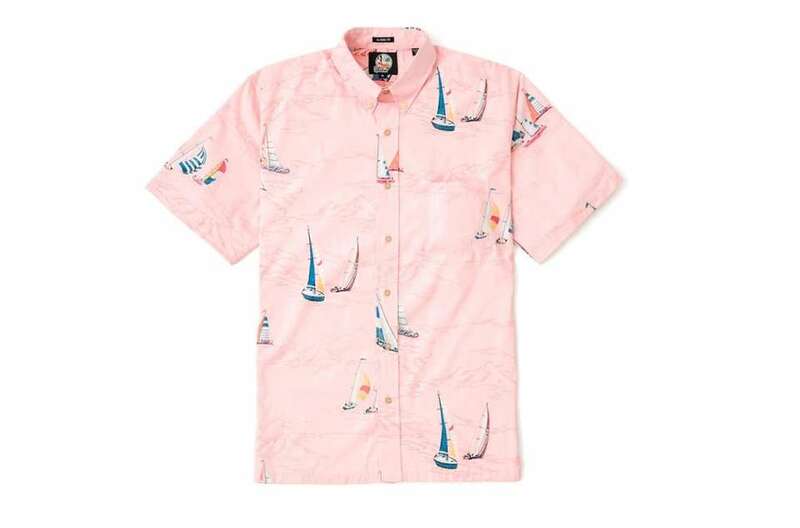 Reyn Spooner’s limited-edition Think Pink collection includes inspiring gear for both men and women, including a selection of men’s pink button-downs, like this Trade Winds Regatta print; $98 at reynspooner.com. FOR THE CAUSE 15 percent of sales supports breast cancer education and research. You can relax in comfort, and with the knowledge that your purchase did some good, when you buy this dolman sleeve tunic and legging PJ set; $49.95 at Lane Bryant stores and lanebryant.com. FOR THE CAUSE 10 percent of the purchase price is being donated to BCRF, through Nov. 3. 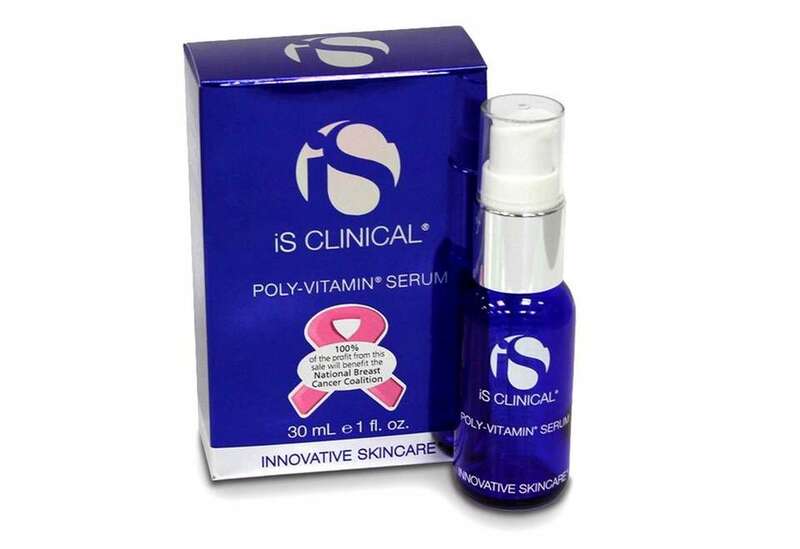 A host of nutrients (including vitamins A, E, B3 and B5) plus lactic, glycolic and hylauronic acids in iS Clinical’s Poly-Vitamin Serum can help nourish and hydrate skin while improving complexion, the company says; $98 at dermstore.com. FOR THE CAUSE 100 percent of proceeds in October provide funding for the National Breast Cancer Coalition. 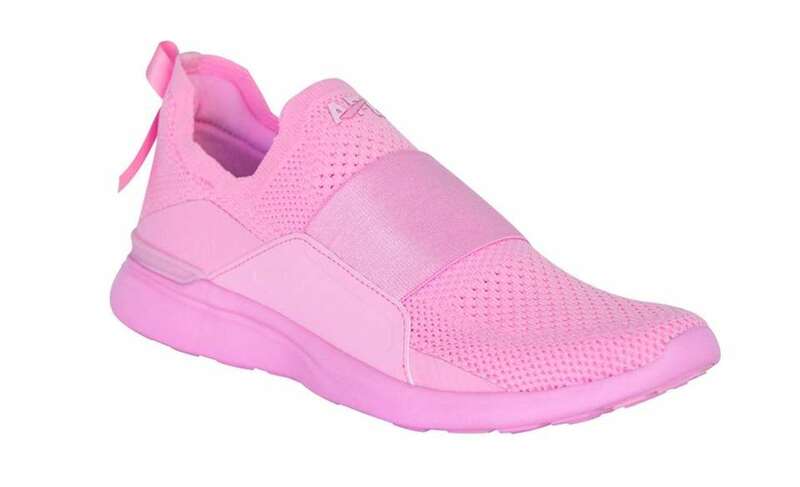 Athletic Propulsion Lab's produced a limited-edition Techloom Bliss running shoe for women, or men. It comes in power pink and has a pink satin ribbon in back; $200 at athleticpropulsionlabs.com. FOR THE CAUSE 20 percent of gross sales starting Oct. 1 and lasting for a full year will go to the Women’s Cancer Research Fund. June Jacobs Rapid Repair Healing Cream, created by Jacobs to counteract the ultra-drying effects of her cancer treatment, packs a blend of wildflower extracts, and antioxidant-rich goji berry and pomegranate; $30 to $80 at junejacobs.com. FOR THE CAUSE 50 percent of net proceeds from the cream sales will be donated to the Anne Moore Breast Cancer Research Fund at Weill Cornell Medical College and the Dubin Breast Center at Mount Sinai Hospital in Manhattan. Estée Lauder’s Powerful Pink color collection features two dazzling shades for lips, eyeshadow and A brush; $30 at select Estée Lauder counters and esteelauder.com. 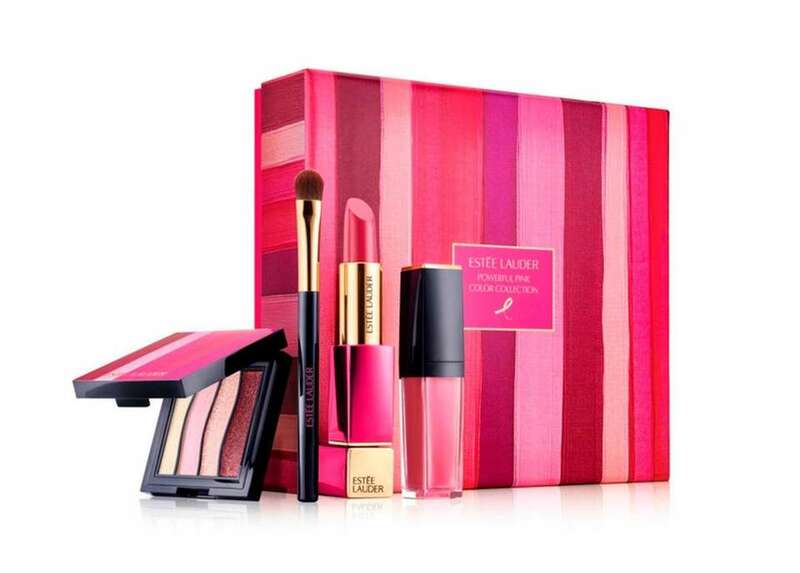 FOR THE CAUSE All proceeds support BCRF through June.Estée Lauder’s Powerful Pink color collection features two dazzling shades for lips, an eyeshadow quad and brush; $30 at select Estée Lauder counters and esteelauder.com. 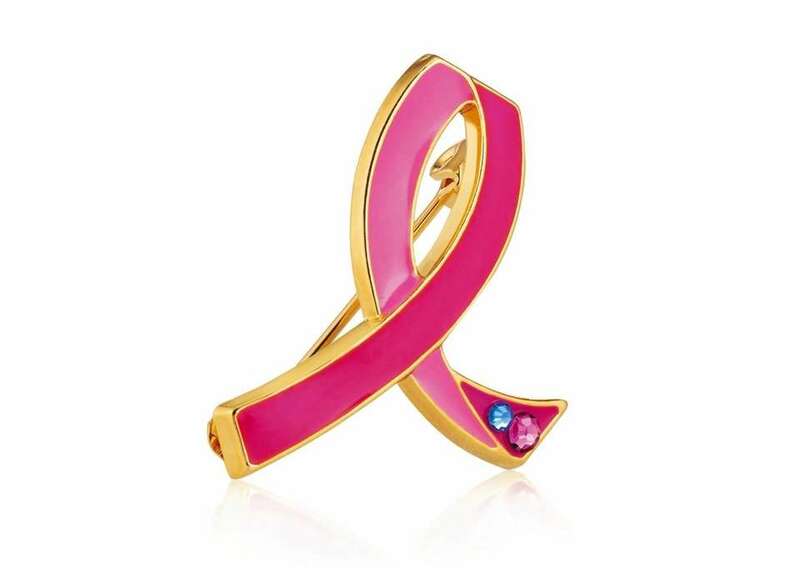 The pink ribbon pin from Estée Lauder is a simple way to show support, and the touch of blue is a reminder that men can also be diagnosed with breast cancer; $12.50 at select Estée Lauder counters and esteelauder.com. FOR THE CAUSE 20 percent of proceeds goes to the BCRF through next June. 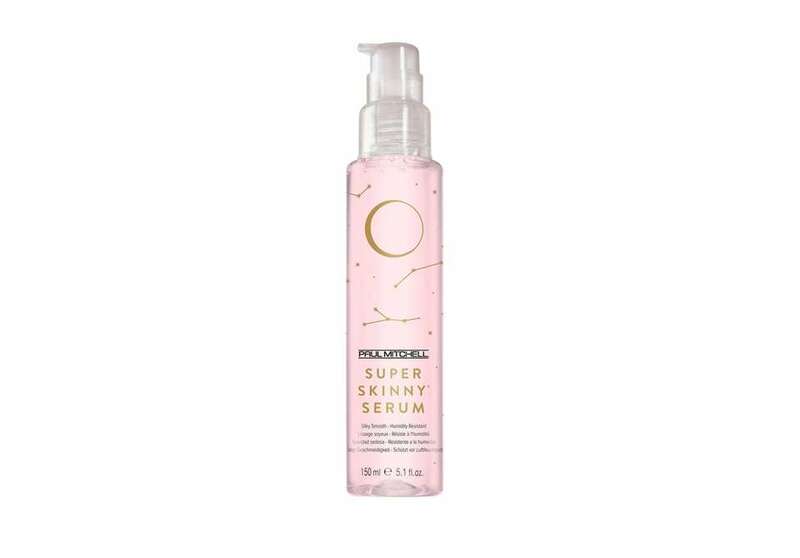 The John Paul Mitchell Systems limited-edition Stargazer collection includes this Super Skinny Serum, to smooth and condition hair for a shiny, frizz-free look; $21 at paulmitchell.com (where you can also find a list of local participating salons). FOR THE CAUSE A portion of proceeds aids Bright Pink, a nonprofit that educates students and young professionals about breast and ovarian cancer. 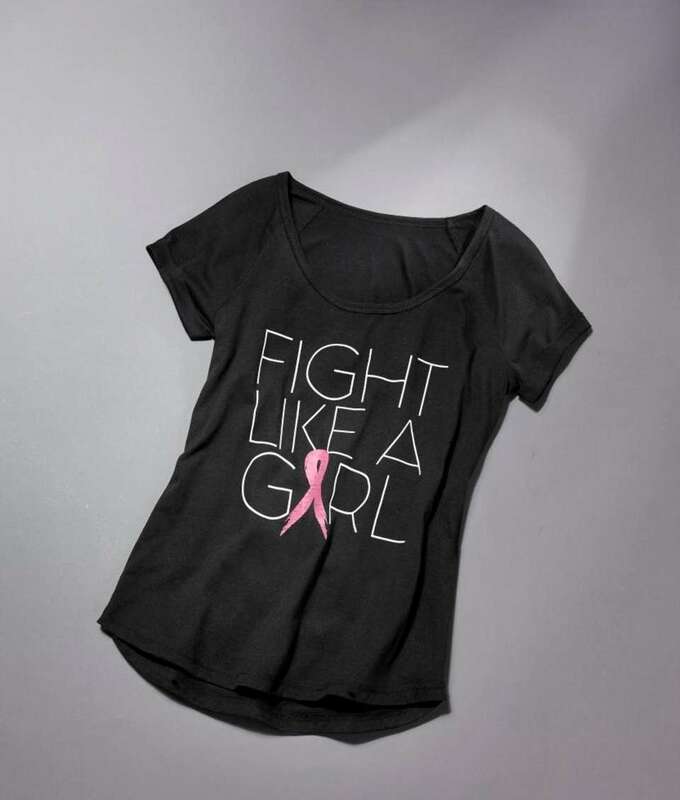 Ideology’s “Fight Like a Girl” Breast Cancer Research Foundation T-shirt; $29.50 exclusively at Macy’s stores and macys.com. FOR THE CAUSE 20 percent of sales supports the BCRF through Oct. 31. Tory Burch eau de parfum Rollerball has a crisp and sensuous mix of florals (peony, tuberose) and citrus (grapefruit, neroli); $30 at select Tory Burch counters and toryburch.com. FOR THE CAUSE 20 percent of the purchase price will help fund the BCRF through December. 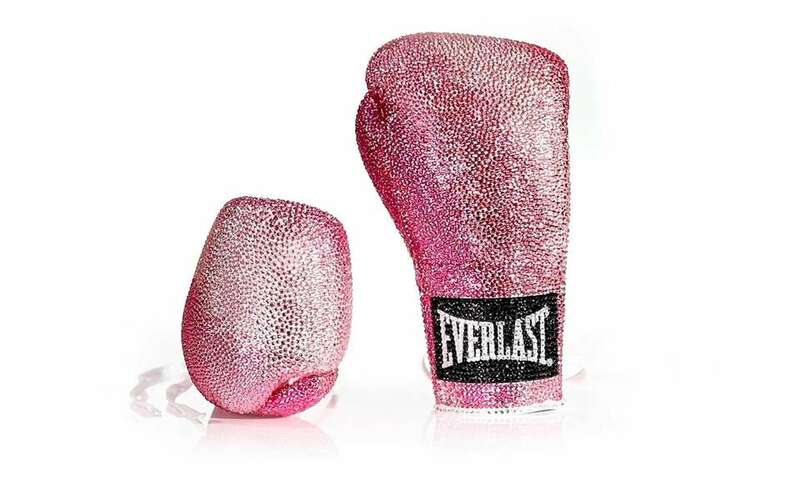 Bloomingdale’s partnered with Everlast to give a one-two punch to cancer, presenting a selection of pinktastic boxing gloves created by 14 top designer labels (including Ralph Lauren, Rag & Bone, Zac Posen and Swarovski, pictured) to be auctioned off throughout October. To bid, go to charitybuzz.com. FOR THE CAUSE All proceeds will help fund the BCRF.